SPORAH TV: BOB JUNIOR A.K.A SHAROBARO ON SET WITH SPORAH..! BOB JUNIOR A.K.A SHAROBARO ON SET WITH SPORAH..! And what should I call you today? Hi Sporah, its nice to be here, I have a number of names and titles to be honest but it depends who is calling me, my names are :- Bob Junior, Mr Chocolate a.k.a The sharobaro President. I am a Music Producer and a Singer too, so any of those can work. Ok Mr. Bob Junior, Which artist have you worked with so far? 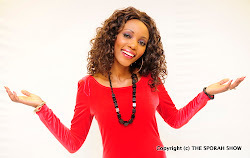 I have worked with a loooot of artists in Tanzania, East Africa in general. Nuru the Light and many more of the likes. Thanks Sporah. Lets talk about Music, how is it being in this industry in Tanzania? Sporah, Music in Tanzania or in Africa as whole is a very very good business if only you know what your doing. So do you prefer to be called a Singer or a producer? Mr. Bob, has this industry changed your life? Oh yes! it has changed my life big time, I say big time Sporah! this is LONDON isn't it? 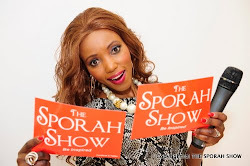 if it wasn't this industry i would't be here, and also getting this opportunity to be right here on The Sporah Show. What about the cash flow..??? OOh! There is good cash flow in Singing than producing, once you sing and get big hits, you get a lot of tour which pays really well but knowing both is a bonus. What's wrong with my dancing? Nothing wrong but its like 2 sexyyy..! isn't it? Let's talk about your way of Dressing..! Who inspires you in fashion Industry? MH, I don't get inspiration from any body, I just work out my own style, I love Shouting colours i think they look good on me and its my identity. You mean KUMECHISHA MECHISHA like my Dress and My shoes today.? Oh yes, Thats what am talking about Sporah. Look at Me..! I LOVE MY STYLE MEN. I must admit, You' re looking good! Mr Chocolate. Let me go a little bit deep into your style, Do people Miss understand you sometimes with your way of dressing..! I MEAN LIKE..! No No No, Not at all, My fans love my style or fashion mostly (ma dada zangu) Girls. And this is ME, Bob Junior, Mr Chocolate a.k.a The sharobaro President. Sporah, I have been in the Music Industry all my life, my dad was a singer too, so i know exactly what am doing and thus why am HERE at THE SPORAH SHOW today doing what i know best. Are you in a relationship right nowwwwwwww! Oh YEES, I am in a Happy Relationship, I love my baby but i don't want to mention her name on a public television, but YES I have a GIRLFRIEND. ( I LOVE YOU BABY). So are you going to perform for us today Mr President? Oh YES, i will be perfoming my single called: OYOYO , OYOYO..! For The Sporah Show' Fans. Wow..! Thank you so much Bob Junior for your time. BOB JUNIOR READY TO PERFORM LIVE ON THE SPORAH SHOW..! The Stage is Yours Kaka. Get it on Enjoooooooooooooooooooooy . Mr PRESIDENT HIMSELF DOING WHAT HE DOES BEST..! ( Usinichafue Babay). W.O.O.W.! What a Performance... The Dancing..! DON'T MISS OUT THE FULL INTERVIEW ON STAR TV - TANZANIA. 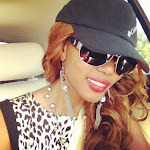 I CAN SEE ANOTHER GOOD ARTIST KUTOKA TANZANIA LOL! hey sporah, i am a producer from Zimbabwe, please hook me up wit these Artists and producers from East Africa, let me know how I can get them in my studios to collabo with Zimbabwean Artists. Bob Junior unafanya kazi nzuri sana. Would love to see more shows like this on ben tv. The colors of your Dress Sporah..! Great Stuff Really Appreciate your work sporah. I like the simplicity of your site, but can you do something more advanced, like put more of SPORAH'S DAILY LIFE . Your Hair Sporah jamani, Very Classic. ARE YOU IN A RELATIONSHIP SPORAH??? ?